Many of our loyal Jockey customers have come back to buy their Jockeys after trying cheaper but inferior styles and brands. Needundies stock a vast range from the evergreen classic, the Jockey Y Front, to updated styles such as Modern Classics, formerly Pure Cotton. In recent years Jockey have expanded their range to cover sportswear using innovative materials. In response from our customers for high cotton content luxury underwear we have recently added the Jockey Luxury Cotton range and for a sporty look and feel why not take a look at Jockey Sport Microfibre. Needundies have been a recommended online retailer for Jockey since 2004. Please browse our Jockey ranges and if you have any questions please do not hesitate to call us, our staff are highly experienced Jockey underwear advisors. When the Jockey® Y-Front® brief was invented in 1935 and became Cooper Underwears (now known as Jockey International) hottest item. The Y-Front® brief become an important innovation in the history of underwear. The Y-Front® brief evolved from the knowledge that the main support in the original Jockey® brief, which had no opening (fly), was carried by the seams that ran up the front of each leg.Arthur Kneibler, the inventor of the Y-Front® brief, would be amazed at the fantastic ranges that Jockey International now supplies to over 120 countries worldwide. 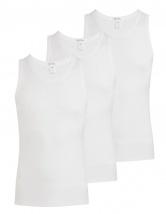 As you can see from the ranges we have collated for you below, Jockey is not just about Y-fronts! Take a look through the ranges and you will find a fantastic collection of underwear in new materials such as microfibre, stretch tencel and Coolmax, but also 100% Pure Cotton for the traditionalists amongst you. There are some designs which have been a technological breakthrough such as the Jockey 3D Innovations and Seamless ranges. And for real underwear fashion watch out for the new Jockey Retro range due for it's official UK launch in November 2008, they are a colour blast from the past! Needundies.com have been a huge fan of all things Jockey for many years and we are committed to bringing you the very latest products for men and women from this superb designer.